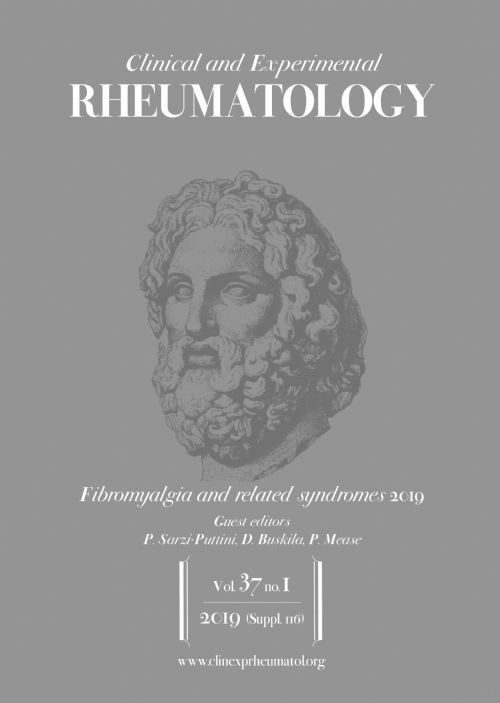 New annual monothematic issue entirely dedicated to fibromyalgia. The aim of this supplement is to update readers on the hottest topics in this complex and rapidly growing field, by publishing editorials, reviews and original articles pertinent to fibromyalgia in a sort of "journal within the journal". We believe that concentrating all of this material in a single volume will certainly increase the visibility and impact of the message to the scientific community.